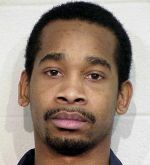 In the early morning of May 22, 2008, around 2:15 a.m., Maurice Simmons was shot in a field near the My Place Bar in the 1400 block of South Division, Grand Rapids, Kent County, MI. Wounded, Maurice made his way down South Division for about a mile before being taken to the St. Mary’s Health Care, where he later died. According to police, there are no suspect in Maurice’s death. A reward of up to $1000 is being offered by Silent Observer for information that leads to an arrest. Posted on Friday, May 22nd, 2009 at 11:31 am. Last updated on Thursday, March 1st, 2012 at 8:27 am.